How do I add DISCO users? 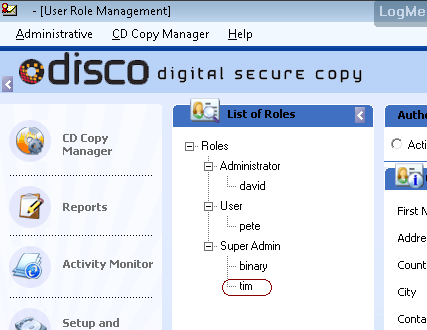 Step 1: Launch the DISCO Server application with the Super admin credentials. 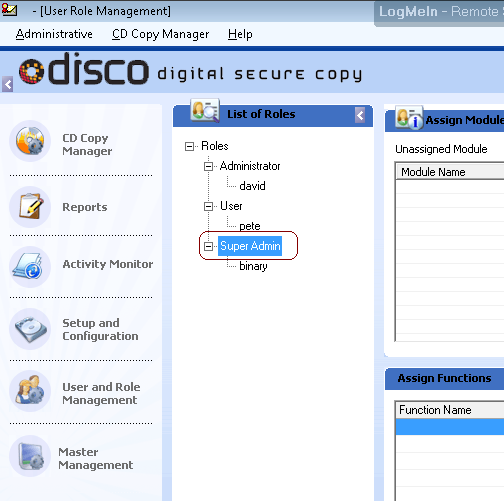 Step 2: Click on the User and Role Management from the left menu. Step 3: Select a role type form the Roles List under which you want to create a new user. Step 4: Click on Create User button from the list of buttons displayed in the bottom of the screen. Step 5: Fill in all required fields. 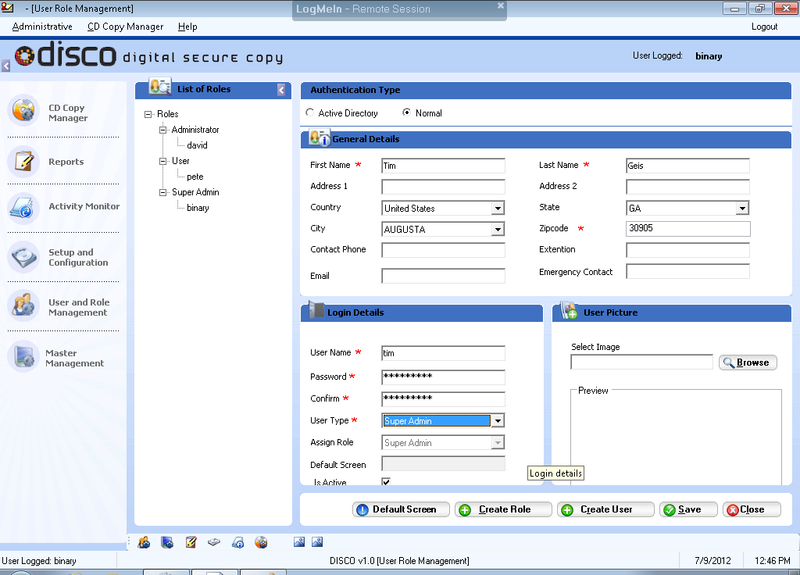 User Type and Assign Role should be identical. Step 6: Click Save. User’s name will appear in the role assigned.